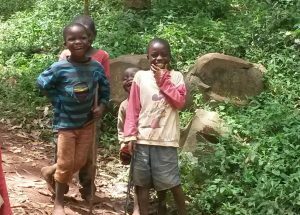 Jared (the boy below in the blue shirt) was raised by his mother who prepared and sold local brew to the villagers. Jared’s mother enjoyed drinking and also gave the brew to her little boy. Often, the villagers would find the mother very drunk and little Jared sleeping in the cold. Jared would often get sick and almost died a few times. Finally, Jared’s mother couldn’t take care of him any more so she decided to sell Jared to one of her customers. Jared was sold for Kshs. 450 (US$4). Unfortunately the woman who bought Jared was destitute and had no where to live and was also battling cancer. After 3 years she died, leaving Jared with her mother Biriah. Biriah is 73 years of age and sells fruit in the local shopping centre. Biriah and Jared were recently visited by Everlyn (our Kenya project manager) and joined the Foster Family Loans Program. This is Biriah at the local shopping centre. Biriah is now expanding her fruit stall to sell more fruit and vegetables so she can support Jared. Jared is ready to start school next year, so Biriah is focused on having the ability to pay for school fees, purchase school uniforms and provide food for a very active little boy. With the help of Everlyn and her team, Biriah is learning skills in small business management and budgeting. She is determined to become self sufficient and provide a good future for both of them. Thank you to our Captivating Family who have supported the Foster Family Loans Program. Your gifts have continued giving more women the capacity to give more orphans their FOREVER FAMILY! Kareni's mother passed away when she was 3 years old, leaving her with her aging grandmother who passed away 1 year later. Little Kareni was all alone from 4 years old and was taken to a local orphanage where she remained for several years. During this time, Kareni was able to go to school most days but she dreamed of having her very own family. 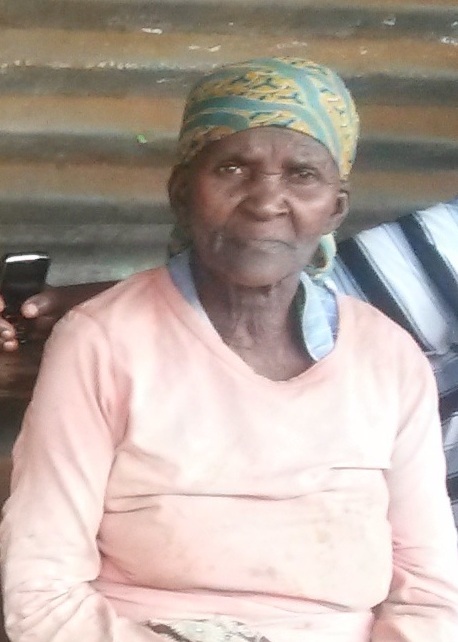 Nyaboke is the newest member of Captivating's Foster Family Loans Program. Her husband chased her out of their home because she was not able to give him a child. She took refuge in another home nearby where she is also working as their house helper. Her dream is to adopt a child from the local orphanage however she has no resources to support a child. She started a charcoal business but because of her lack of business knowledge and skills, she had to close her business. Risper has been part of the Foster Family Loans program for 2 years. She suffered a few setbacks but has worked hard and created her successful fruit business. 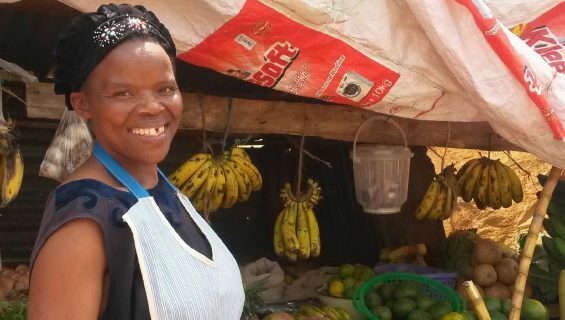 Risper was able to pay off her final loan and now her business is self sustainable.